No thanks, please let's not go there. Feminine hygiene products. If that doesn’t apply to you, feel free to tune out today. 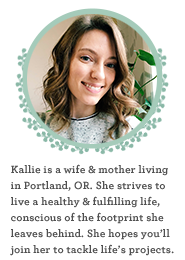 I’ve been extremely excited about the influx of healthier feminine care options into the market lately. It seems crazy that we’ve all been using these chemical-laden products for so long without second thought. Or if you haven’t had that thought yet, maybe it’s time! My favorite company to offer organic products is Lola. I’ve been using their products for over a year now. They have a great subscription system that is fully customizable. I get their organic tampons in all sizes (and have not tried their pads.) I prefer the design of their compact applicator tampons the best. They come in light, regular, super, and super +, but the applicator is plastic. I’ve switched to buying the cardboard applicator for regular and super (they’re currently not available in light and super+) because they are fully biodegradable. Another great company offering organic tampons is Sustain Natural. 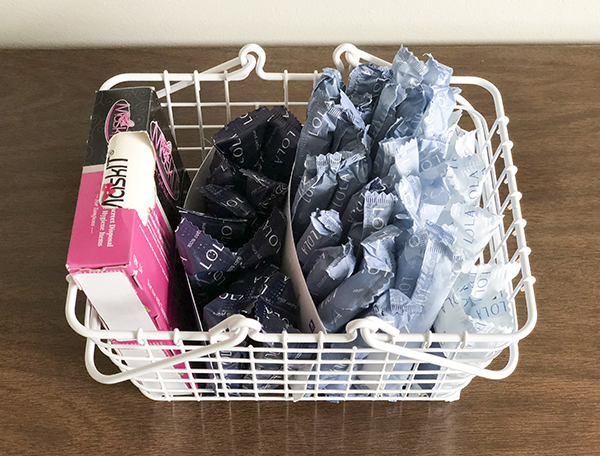 I buy other products from them, but decided not to buy their tampons because they only offer regular and super and their boxes aren’t fully customizable. However, their applicators are made with bio-plastic, and I just really like this company. Speaking of applicators, there is a new product out of the UK called Dame currently running on Indiegogo. From their site: “D is a reusable tampon applicator. It uses self-cleaning technology and medical grade materials so you can enjoy the comfort of an applicator without the plastic waste.” I’m intrigued. All great options, but you can even find organic tampons on the shelves at your local stores now. Even Brandless is selling $3 boxes! In switching from conventional to organic tampons, I’ve realized that they work just as well, but maybe hold a little less volume than you’re used to. So in the time you would expect to wear a regular sized conventional tampon, you may want to bump up to a super organic one. Finally, do you flush your tampons? I can’t unless I want to risk an emergency plumbing bill. Our house has a sewer pump that doesn’t handle anything beyond organic waste and toilet paper. But in general, you just shouldn’t. Main line sewage clogs are becoming a big problem, and I’d like to do my part to make it easier to create reusable drinking water. This article covers it. I only talk about tampons here because that’s my preference, but if it’s not yours, hopefully you’ll still think about the products you’re using. There’s always the Diva cup, but I’m just not there.